2×1 Automatic HDMI Standby Switcher. 2×1 HDMI Switcher with IR. 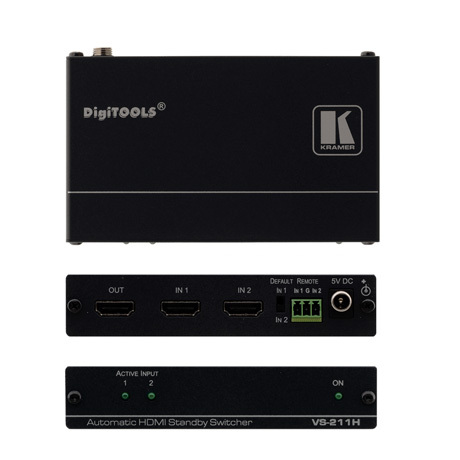 The VS-21H-IR is a high-performance switcher for HDMI signals. 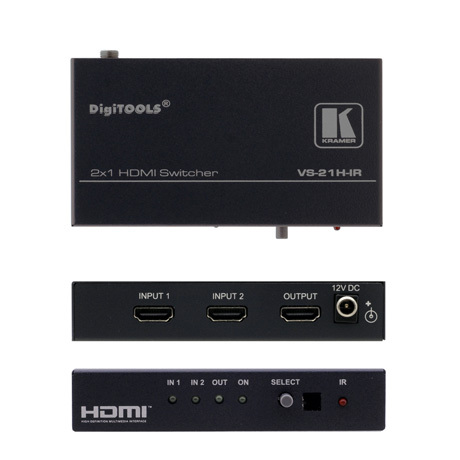 It reclocks, equalizes and switches either of two inputs to a single HDMI output.